I don’t know about you, but I love face-to-face interaction. Talking with people and getting the full spectrum of emotion, voice inflection, and overall personal presence greatly affects how we percieve and understand conversation. Meeting with clients, convening with consultants, and collaborating with team members is an essential part of architecture business. However, times are changing, and we are finding a wide variety of communication tools at our finger tips. Social media sites and collaboration technology is engulfing our world (and profession) like a dense morning fog. In this, Part 1 of “The [arch] Offce” series, we are going to see what ARCHITECT magazine discovered regarding these many options. How have we navigated the fog, and what have some of the results been so far? More importantly…where are we going? 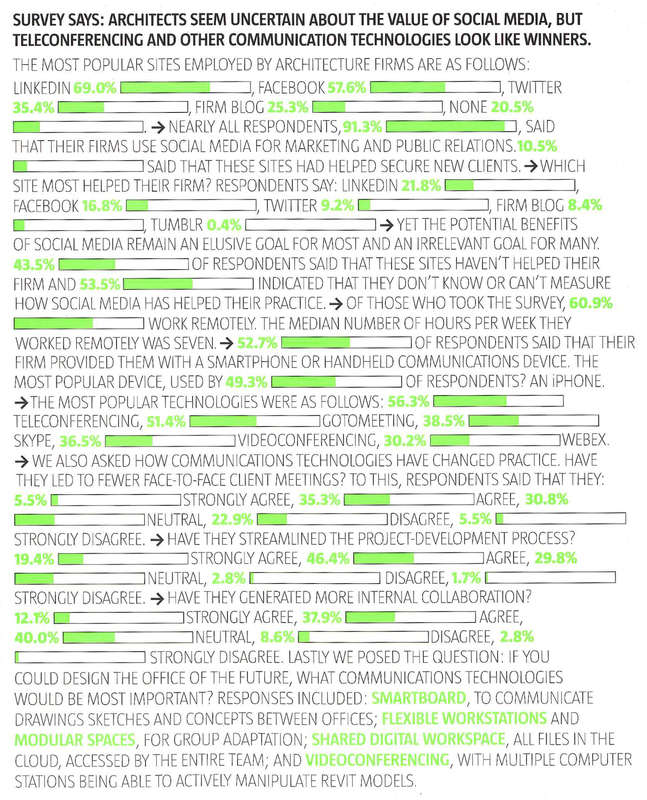 65.8% agree that social media/technology has helped streamline the project development process…excellent! 50% say that social media/technology has generated more internal collaboration…that’s a good start! Strong and very important words! The big question now: where are we going? In my opinion, the use of social media and blogging platforms will (and should) continue to grow for architects. Firms are finding social media to be a great recruiting tool, as Millenials have embraced social media platforms. Beyond recruitment, I feel that firms will find greater successes in the future in gaining new clientelle and collaboration because of social media. 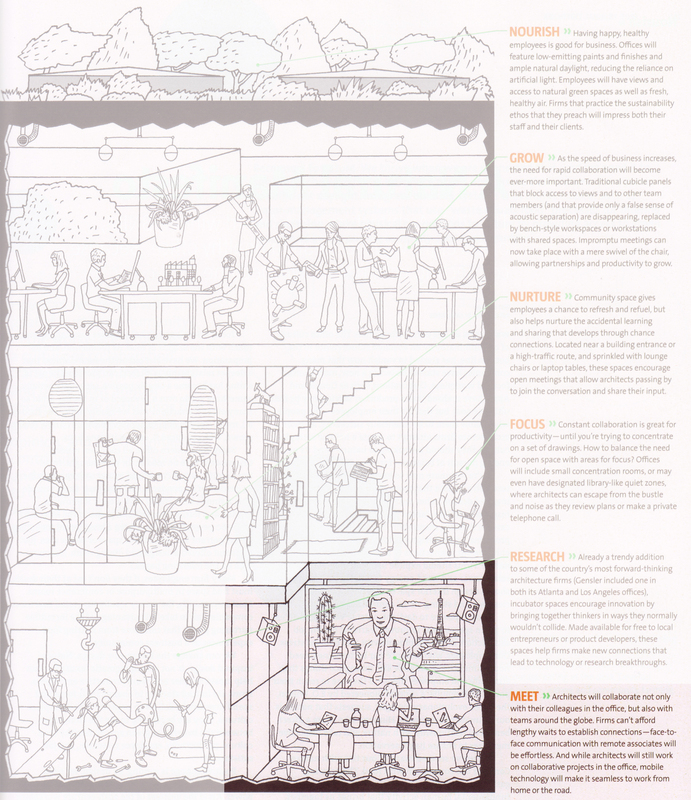 It’s your office and your future…where do you think the “architecture office of the future” is going? What other technologies do you see as being important, and why? Stay tuned for Part 2: Research next Monday, May 7th! ← I swear this wasn’t upside-down yesterday!